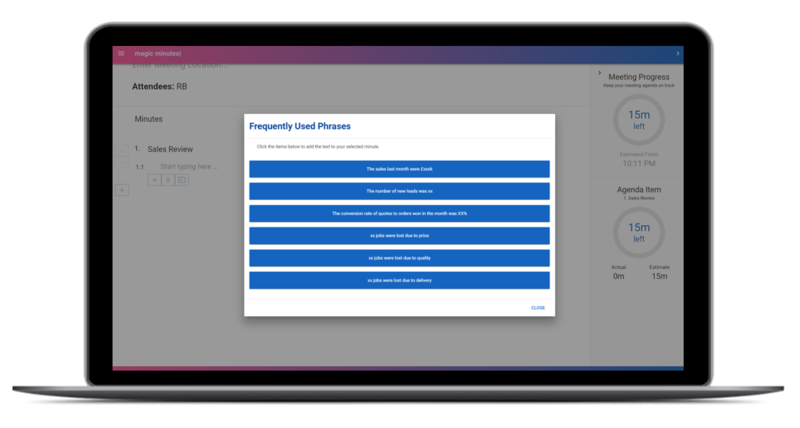 This guide will explain how to use some of the key features within the minute taker. 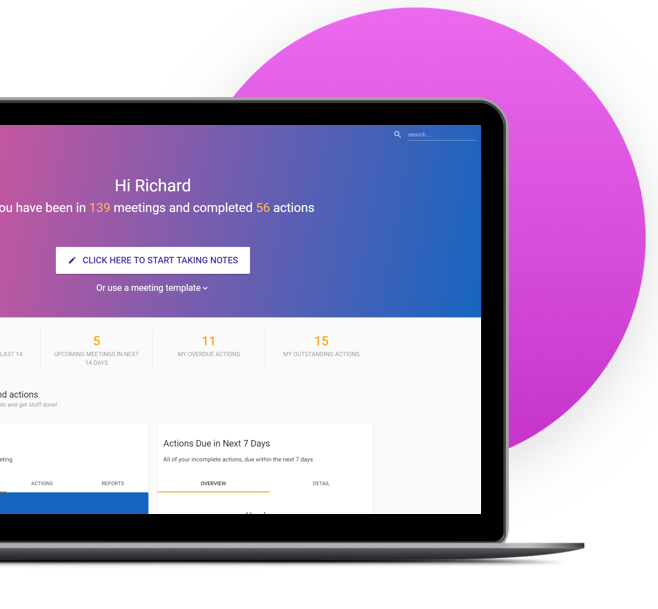 If you are in a “Meet Now” meeting, you can add in item headings and meeting text as you go along. For meetings where an agenda has been pre-set, the agenda items will be displayed. The meeting text can be add under each agenda item. Type in your item heading title (e.g. 1. Social Media Review) or if left blank, it will automatically be filled with a generic title (e.g. Item 1). To type meeting text underneath your item heading, press enter, or press the smaller plus sign below on the left. Pressing Shift+Enter will allow you to add in text without creating a new paragraph number. To add a new item heading (e.g Item 2), you can press enter twice or press the larger plus sign. Actions can be added by clicking on the “Add Action For 2.2” text. Once clicked, you can add an action description, action owner and due date. The meeting timer can be a helpful tool to keep your meetings on track. The amount of time you’d like to spend on an agenda item can be input when you set up a meeting. Alternativley, you can use the slider in the agenda item section of the meeting timer to set the time. The timer will go red if the agenda item or meeting is running over the estimated time. If you use the same wording meeting-to-meeting (e.g. Sales last month were £xxxk) you can pre-populate the text to make it available in the meeting at the push of a button. 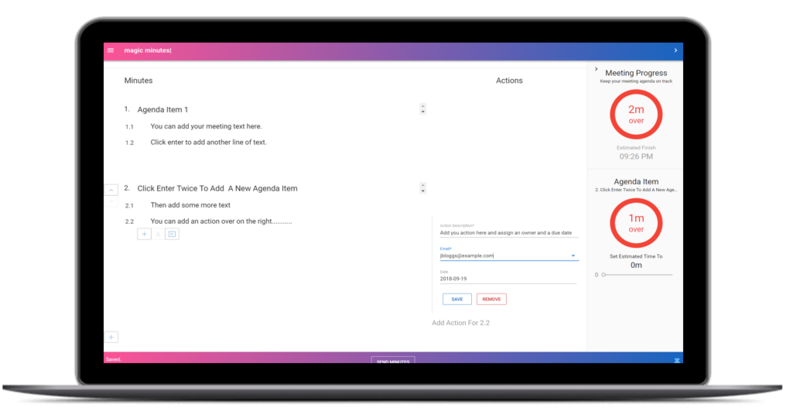 If you run weekly or monthly meetings with the same agenda items, these phases will be carried through to every follow-on meeting created so you only have to type them in once.